Regular Brickwork textured sheet. 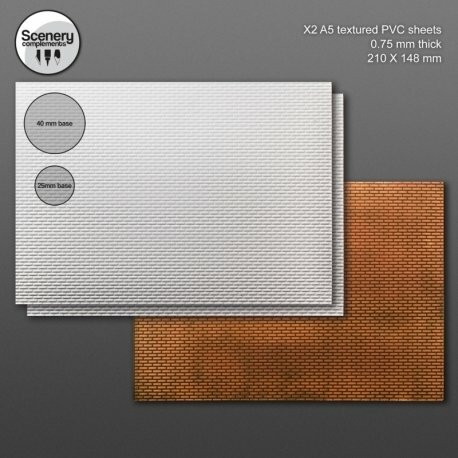 This product includes 2 PVC textured sheets. The measures of each sheet are 210mm width, 145mm height and 0.75mm thick.